/ May the 4th be with you. 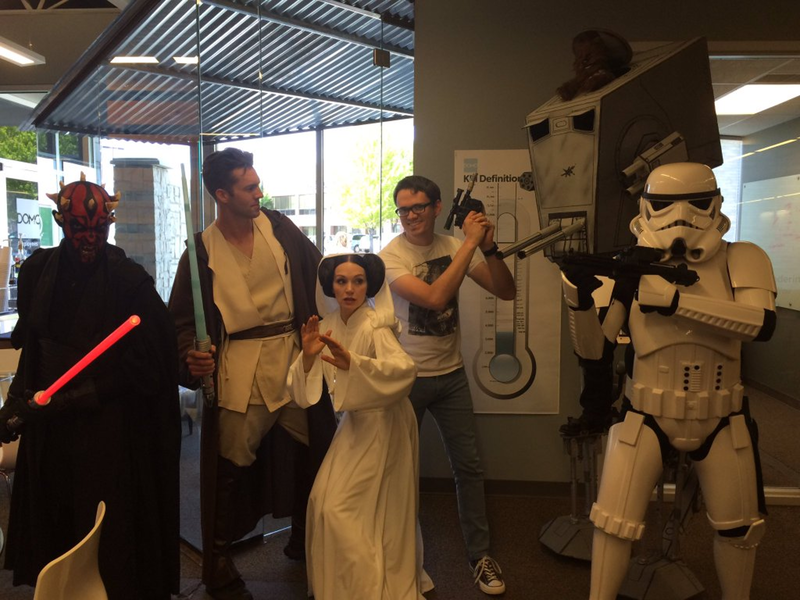 The Force is strong with us here at Domo. That’s why we’re celebrating May the 4th like Ewoks after the Battle of Endor. Imperial helmet drums and Princess Leia buns included. As any Jedi Master knows, you need more than lightsabers and spaceships to master the force and manage your business. Domo’s Business Cloud is the single most powerful—and only—platform for managing your entire business. And yes, my friends, it’s fully operational. Need business insights in less than 12 parsecs? With Domo, you can see all the information you care about in real-time so you can make faster, better decisions. Ever feel like your business is up against a death star? Domo makes managing your entire business as easy as bulls-eyeing womprats in your T-16 back home. Is your business frozen in carbonite? Domo brings data and people together like the force and Luke’s lightsaber. Learn more about how Domo helps make your business impressive. Most impressive.